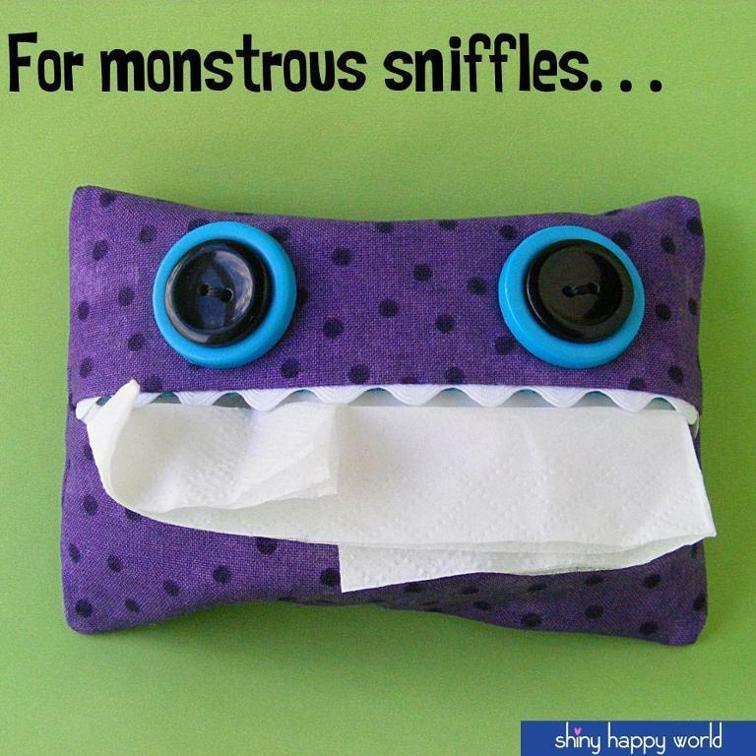 This little tissue pack is perfect for fending off monstrous sniffles. Whip one up today! Take a look at this Tissue Box Cover, too!